If you like to keep your email inbox clear, then you are likely accustomed to deleting emails when you are done reading them or responding to them. Your iPhone offers a couple of ways that you can complete this deletion. But you may notice that there is an extra prompt when you are deleting an email or archiving one. If you are often performing these actions on the messages in your inbox, then that additional step can get annoying after a while. Fortunately you have the ability to change a setting so that you no longer get asked for confirmation after you move an email to the trash or to your archive. 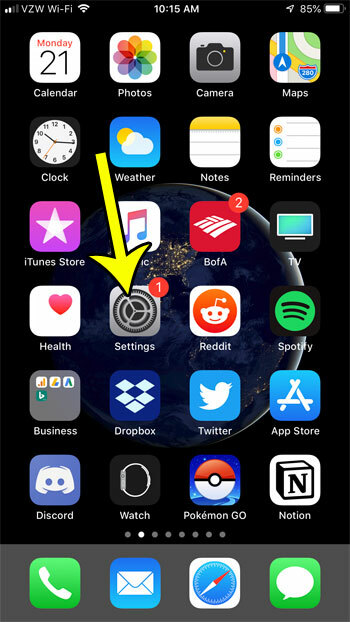 The steps in this article were performed on an iPhone 7 Plus in iOS 12.1.2. 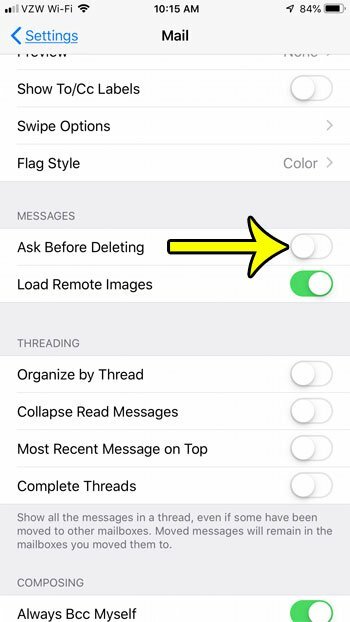 By completing these steps you will be removing the button that appears at the bottom of the screen asking you to Archive Message or Trash Message after making that selection from the Edit screen. Step 2: Scroll down and choose the Mail option. Step 3: Tap the button to the right of Ask Before Deleting to turn it off. Do you receive a lot of emails and the alerts and banners are becoming overwhelming? 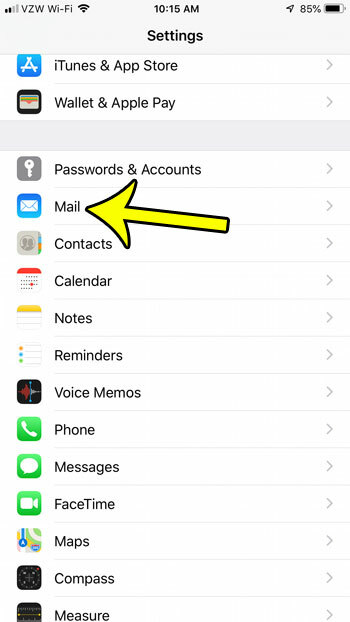 Find out how to turn off iPhone Mail notifications so that you are constantly bothered by them.